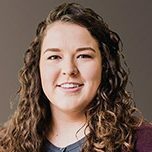 Taylor earned her Bachelor of Science in Psychology from Texas A&M University and her Master of Arts in Biblical Counseling from Dallas Theological Seminary. She is recognized as a Licensed Professional Counselor Intern by the state of Texas. Taylor’s education and experience equips her to work with clients of different ages and mental health experiences. She accepts adult, adolescent, and child clients dealing with depression, anxiety, abuse, codependency, stress, shame, adjustment, women’s issues, relationship issues, and spiritual issues. Taylor’s approach acknowledges the individuality of each client and his or her experiences. She believes counseling is a collaborative effort, in which the professional therapeutic relationship is seen as a transformative aspect of healing.